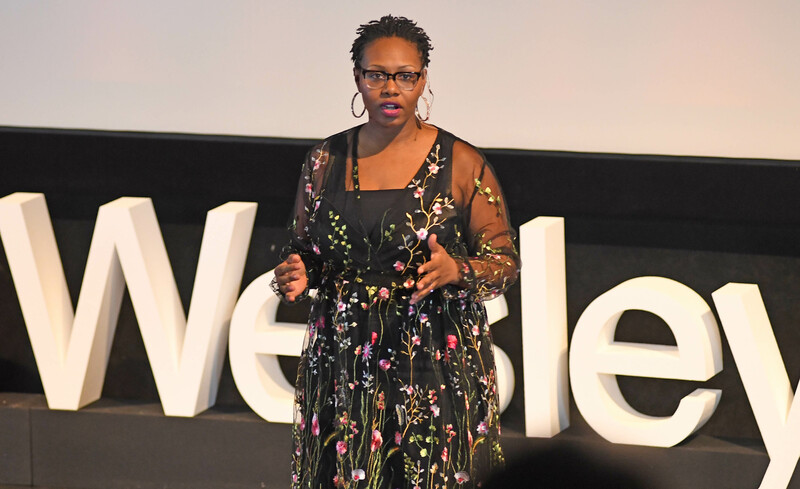 The University hosted a TEDxWesleyanU event on Saturday, April 7, bringing together speakers, students, and community members to the Ring Family Performing Arts Hall to explore a broad range of topics ranging from the psychology of career decisions to the importance of liberal arts. The event was organized almost entirely by University students and included 13 speakers throughout four separate sessions, spanning a total of six hours. Some of the speakers included local politicians, like Middletown Mayor Dan Drew and State Representative Matthew Lesser, as well as prominent businesspeople such as Anand Kini ’92, the Chief Financial Officer of NBCUniversal. The event also featured alumni from less conventional careers, such as Michael Yamashita ’71, a photographer for National Geographic. The event was the culmination of over a year-and-a-half of work, and organizers are already planning next year’s event, which will include a larger venue to open the talks to more students and community members. Although organizers had initially contemplated creating a unifying theme or slogan, they eventually decided against this in order to invite as many ideas as possible. The first session featured Angela Yee ’97 of “The Breakfast Club” radio show, Mayor Drew, and Director of the Gordon Career Center Sharon Belden Castonguay. In Yee’s talk, she discussed how to combat hate in the current tumultuous social and political climate. “Isn’t it crazy that you could hate somebody you don’t even know because of their race, gender, religion, or sexuality?” Yee asked before describing the psychology of hate. Session two included talks by Kini, Representative Lesser, and Professor of Sociology Anthony Hatch. Throughout his session, Kini championed liberal arts as a necessary companion to science, technology, engineering, and math (STEM). Although Kini believes that Netflix, Snapchat, and other digital disruptors can be viewed as champions of STEM, he argued that traditional “Big Media” holds strong ties to liberal arts as it maintains a strong place in the American media marketplace. Lesser provided an optimistic story of a Connecticut resident who worked to make insurance companies provide coverage of a critical fertility preservation procedure. The resident met with each state legislator, eventually passing the bill. The third session featured Syrian artist and architect Mohamad Hafez, Reproductive Mental Health Psychiatrist Lucy Hunter ’92, and Lily Herman ’16, activist and writer for Refinery29 and Teen Vogue. Session four included Yamashita, Vice President of Microsoft in China Aaron Painter, National Dream Director of the Future Project Sallomé Hralima ’02, and Anchor/Correspondent of CNN en Espanol, Maria Santana ’98. Yamashita discussed the role of luck in his career and how it relates to the field of photography. Santana illustrated the pervasiveness of fake news within the Trump era, and how the public can be smarter when ingesting news. Reacting to the event, Olgun expressed hope that the overarching goals of TEDxWesleyan were met. “Each of our talks and speakers are there to inspire, and I would hope that anyone who came felt inspired,” she said. Cormac Chester contributed reporting to this article.